Charlotte, February 7, 2019 — U.S. regional lender BB&T Corp will buy rival SunTrust Banks Inc for about $28 billion in stock, unveiling the biggest bank deal since the 2007-2009 financial crisis and a potential first step in a long-awaited wave of consolidation in the sector. The combined company will operate under a new name and have around $442 billion in assets, $301 billion in loans and $324 billion in deposits, and will rival U.S. Bancorp that has about $467 billion in assets. Its footprint will cover the East Coast, with new corporate headquarters to be situated in Charlotte, North Carolina. The combined company will retain operations in Winston-Salem, North Carolina, and Atlanta, Georgia, the home markets for both companies. The deal comes as the Trump administration is easing crisis-era regulations, which restricted expansion and added increased regulatory scrutiny on big banks. Deal activity in the sector languished after the financial crisis a decade ago as stricter rules were imposed on lenders with more than $50 billion in assets and regulators barred banks with compliance issues from expanding. Changes in U.S. tax laws have lowered corporate taxes, freeing up capital, and Wall Street has long been expecting a wave of dealmaking in the banking sector. Bank of America Corp Chief Executive Officer Brian Moynihan earlier this year publicly predicted a new wave of big bank mergers at Davos. 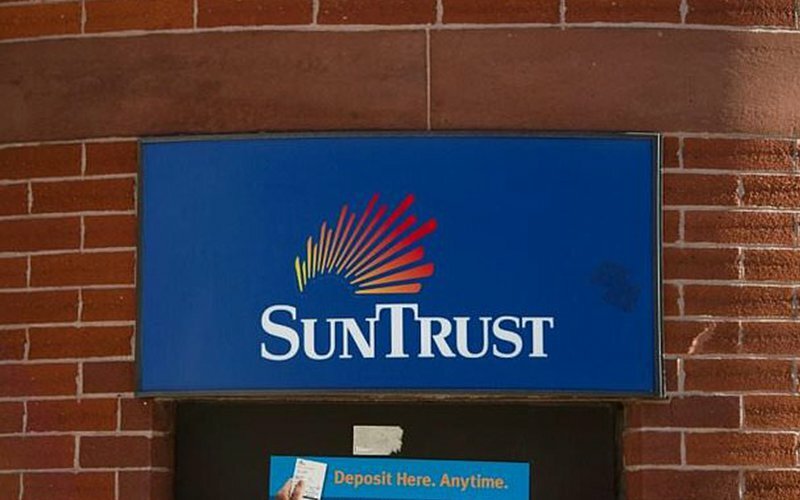 “The BB&T/SunTrust merger will open more eyes on the potential for more sizeable bank M&A to occur,” Jefferies analyst Ken Usdin wrote in a client note. As part of the deal, SunTrust shareholders will receive 1.295 shares of BB&T for each share they own. The per share deal value of $62.85 is at a 7 percent premium to SunTrust’s closing price on Wednesday, according to a Reuters calculation. Shares of Atlanta-based SunTrust jumped 10 percent to $64.60 before the opening bell, above the acquisition price, while those of BB&T rose 5 percent to $51.20. BB&T shareholders will own 57 percent of the combined company and SunTrust will own the rest. The deal, expected to close in the fourth quarter, will likely result in an annual cost savings of around $1.6 billion by 2022, the companies said, adding that the merger will generate an internal rate of return of about 18 percent. Kelly King, BB&T’s chief executive officer, will be the CEO of the combined company until Sept.12, 2021, after which SunTrust CEO William Rogers Jr will take over.